The users interact using natural and conversational Language. Chat Bots are like your personal assistants that actually assist you. They can live in any chat applications like Slack, Facebook messenger, Skype etc. Common example: Weather Bots – fetches forecast, current weather etc. 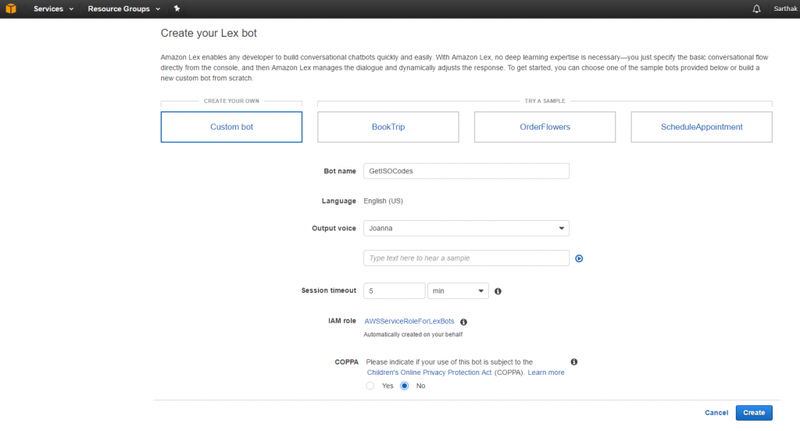 Lex is AWS service for building conversational interfaces for any applications using voice and text. Lex enables you to build sophisticated, natural language Chat Bots into your new and existing applications. Lex can serve a variety of use cases, customer support, transaction fulfillment, data retrieval, or even DevOps functions (ChatOps). AWS Lambda : Lex is integrated with AWS Lambda, a service that lets you run code without provisioning or managing servers. Lambda can be used as a Code Hook and also can be used to connect with other AWS services like SES, SNS, S3. 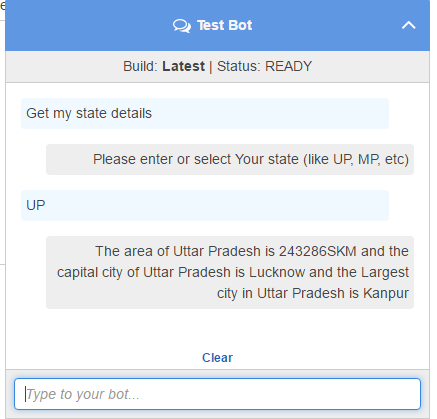 Step 2: Choose the “Custom Bot” and fill details like Bot name, Language, Output Voice. Adding Utterances: Requests from users is called utterances. Example: I want to Order some flowers or Get my state details. Confirmation Prompt: It confirms with a final prompt whether the user want to proceed with the action or not. It accepts ‘Yes‘ or ‘NO‘ as input from User. Terminates the fulfillment if user replies ‘No’. Fulfillment: Fulfillment can be done in two ways: Either invoke a Lambda function or return the parameters back. 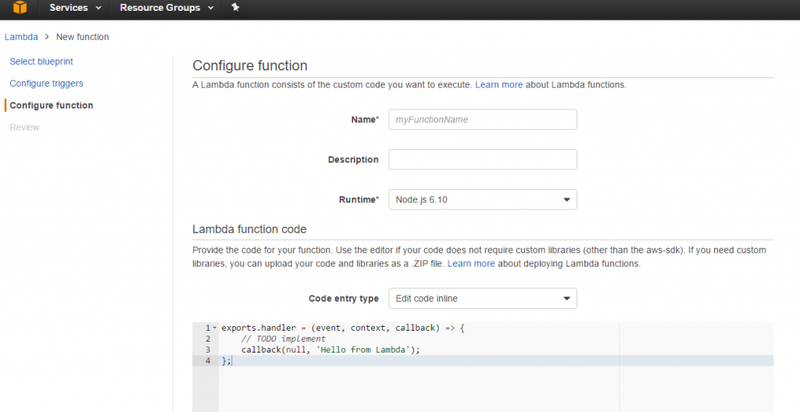 Invoking the lambda function: Firstly we have to Create a Lambda function in Node JS. In this case we will invoke a Lambda function which takes user input and sends it to a REST API in Lambda function and returns the data back to Lex.